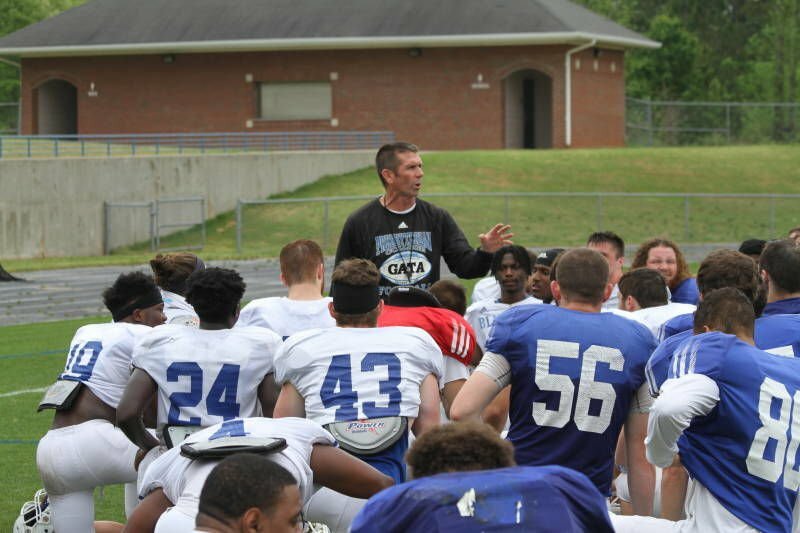 It was the final time the team will be on the field practicing until fall camp in preparation for the 2019 season opener against Stetson on August 31. Presbyterian ran through a number of drills as a team and by positions. After early drills, the team moved into individual work before continuing on with 11-on-11 for a time under the direction of Spangler. 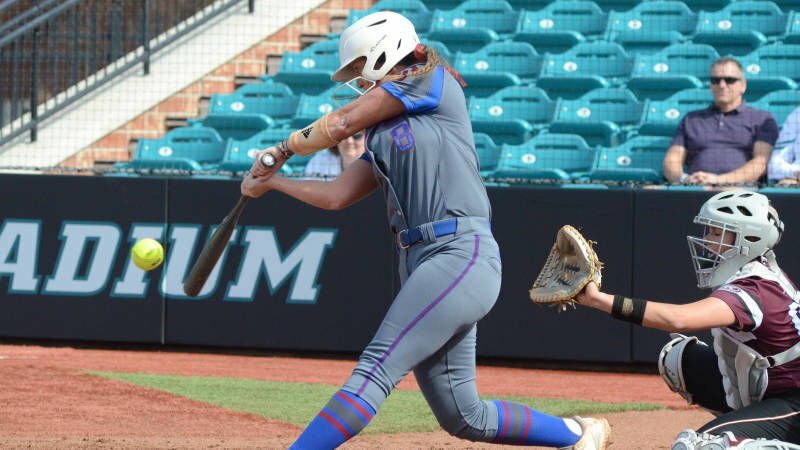 The PC softball team split its Saturday afternoon doubleheader at Gardner-Webb, earning an 11-10 victory in the second game after dropping game one, 8-0. The Blue Hose won for the first time this year in Big South play and are now 11-33-2 on the season, 1-16 in the conference. Sarah Ramsbottom earned her first win of the season against the Runnin’ Bulldogs. The sophomore worked 6-1/3 innings in the victory. She allowed 10 runs (eight earned) on nine hits and four walks. Courtney White picked up her second save of the season after collecting the final pair of outs while issuing three walks. In game one, Taylor Ward got the start in the circle for PC. The freshman allowed eight runs on 10 hits and three walks in the loss. Jonnie Petree grabbed a pair of hits and also stole her 30th base of the season in the contest. In Ninety Six, the PC women’s golf team matched its best finish with a fourth-place tie at the Big South Women’s Golf Championship on Saturday with a team score of 925 (306, 300, 319). Senior Maiken Bing Paulsen claimed seventh place at 221 (75, 72, 74) to add another top-10 finish to her illustrious career. No. 25 Campbell won the team title for the fourth consecutive season, finishing with an aggregate of 869 and winning by 28 strokes at The Patriot Golf Club (par-72, 6230-yards). High Point’s Samantha Vodry, who shot 212 (70, 69, 73) won individual medalist honors. The Panthers finished second at 897. Winthrop (922) finished third, and USC Upstate tied with PC for fourth place at 925. Charleston Southern (929), Longwood (934), Radford (937), Gardner-Webb (952), UNC Asheville (953) and Hampton (1053) rounded out the field of 11 teams. Members of the Blue Hose cross country teams, men and women, set multiple personal records and broke a Division I school record at the Gamecock Invitational on Saturday afternoon in Columbia. This was PC’s third and final outdoor track meet of the spring. Neel Taber broke his own record by running 54.24 in the 400 meters. In a separate heat, Zack Kochert clocked a time of 54.97. Taber also set a personal record in the 800-meter race with a time of 2:08.93. William Wise improved on his 800-meter time by five seconds in the indoor season, crossing the line at 2:05.63. Luke Harmon and Kiro Morkos both set personal bests in the 1500 meters. Harmon bettered his time by five seconds to finish in 4:32.98 and Morkos shaved a second off of his previous best to cross at 4:42.94. Justin Nobles also competed in the 1500-meter race, clocking in at 5:21.56.